Tom has a Bachelor’s Degree from Walsh College Troy MI. Tom has 33 years of experience in the securities industry. Tom was a Branch Manager at Olde Discount Stock Brokers Bloomfield Hills MI. Branch. He was a Complex Manager at H & R Block Financial Advisors. Tom has helped hundreds of people with retirement, estate and investment planning. Tom has his Series 4 (Registered Options Principal), 7 (General Securities), 24 (Registered Securities Principal) ,63 (Uniform Securities Agent State Law) and 65 (Uniform Investment Adviser Law) FINRA registrations. 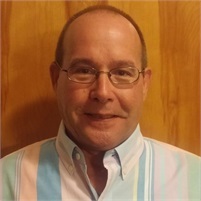 Tom is a Registered Representative with Kestra Investment Services, LLC and an Investment Advisor Representative with Kestra Advisory Services, LLC. Tom has spent his lifetime in Troy Birmingham area. Tom is a Board Member of the Bonnell Foundation Roadmap to CF. Tom is an instructor of Sanchin-Ryu Karate and a 1st degree black belt in Sanchin-Ryu. Tom is a parish member and Usher of Christ Our Light Church in Troy MI. Tom has four children; Jenifer, Rachel, Bob and Michael. Three grandchildren Seth, Jacob and Ragen and a Moyen Poodle named Merlin.